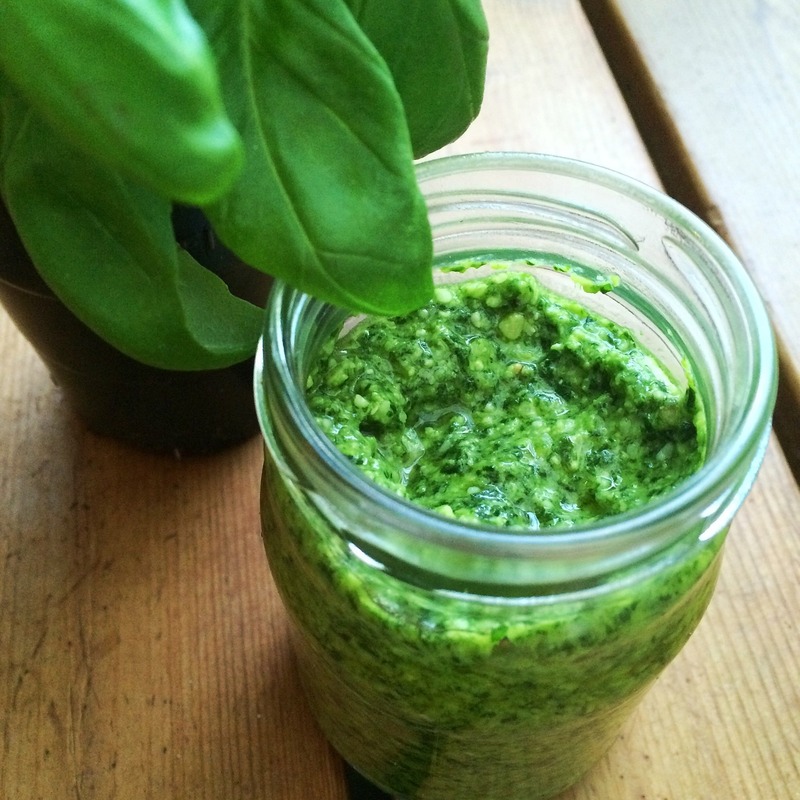 Summer time is perfect for pesto. We are headed to Italy this month and the last time we visited I had real Pesto Genovese. Like, actual pesto made in Genova with real Genovese basil. Amazing. I love making pesto, but also want to eat the most nutritious food I can. I adapted a few different variations of a classic pesto to share the healthiest, tastiest version out there. Pesto is really a raw “sauce”, coming from the Italian word pestare, meaning pound or crush. Since it is raw using a high quality olive oil will yield the best result. I swapped out the traditional pine nuts for healthy, Omega 3-rich walnuts and replaced half of the basil with iron and protein rich spinach. Use what you’ve got on hand to make a healthy, easy weeknight pesto. Adding a small amount to a classic vinaigrette for a cold or hot veggie salad. Thin with extra oil and water to use as a marinade. Using as a sauce for grilled meats. Oh my gosh….Eggs! With a tomato over a slice of whole grain toast. Now I can’t wait for breakfast. How do you like your pesto?